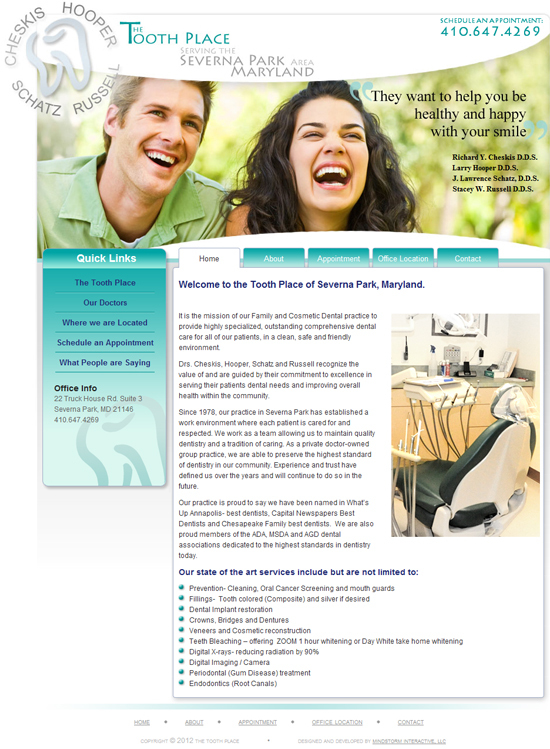 Since 1978, The Tooth Place has been brightening smiles in Severna Park, MD. 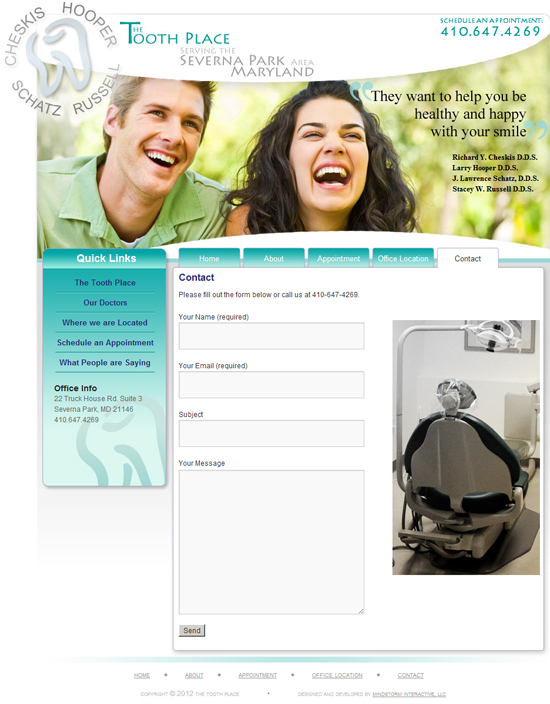 They came to us to freshen up the look of their website, and include photos of their staff, office location and state-of-the-art dental equipment. We rebuilt their website with a custom design using the WordPress content management system so they can update their content whenever they want.